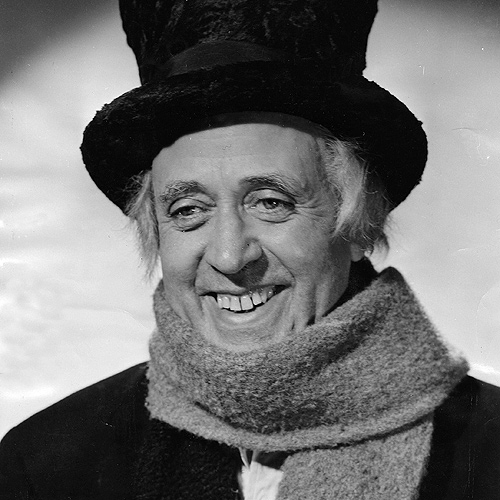 It’s 60 years since Alastair Sim played Ebenezer Scrooge on the big screen and although there have been countless versions of Charles Dickens’s A Christmas Carol over those six decades, not one has come close to Sim’s 1951 film, Scrooge. And, yes, I’m referring to such illustrious actors as Albert Finney, Michael Caine, George C Scott and, er, Mr Magoo. I’ll be honest: I’ve never read A Christmas Carol. 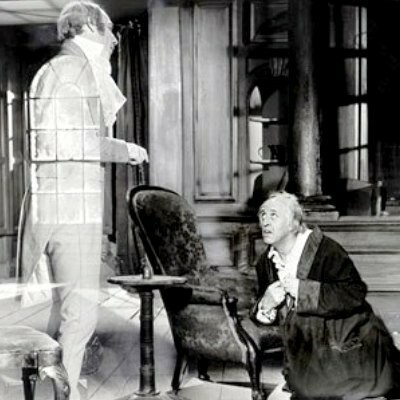 So whether Dickens described Scrooge exactly as Sim plays him – a cowardly, emotional cripple who has buried his humanity under an ever-increasing obsession with money and whose frozen heart and icy personality start to thaw when he’s confronted with key moments from his past – I could not say. What I do know is that no other actor whom I’ve seen playing Scrooge has moved me as Sim does – and no other Christmas film, apart from It’s a Wonderful Life, leaves me on such an euphoric high. We’d seen Sim’s irrepressible giggles before but there is nothing – Jimmy Stewart’s jubilant “Merry Christmas Bedford Falls” sprint through Bedford Falls apart – as uplifting or infectious as his hysterical fit of giddy mirth at the climax of Scrooge. It’s the cinematic equivalent of ecstasy. And it’s not only this dazzling yet unshowy central performance that makes the film a winner. The supporting cast – a veritable Who’s Who of British acting talent – is ace; Brian Desmond Hurst’s direction is superb and Victorian London is beautifully evoked both visually and by the sombre yet eerie music.